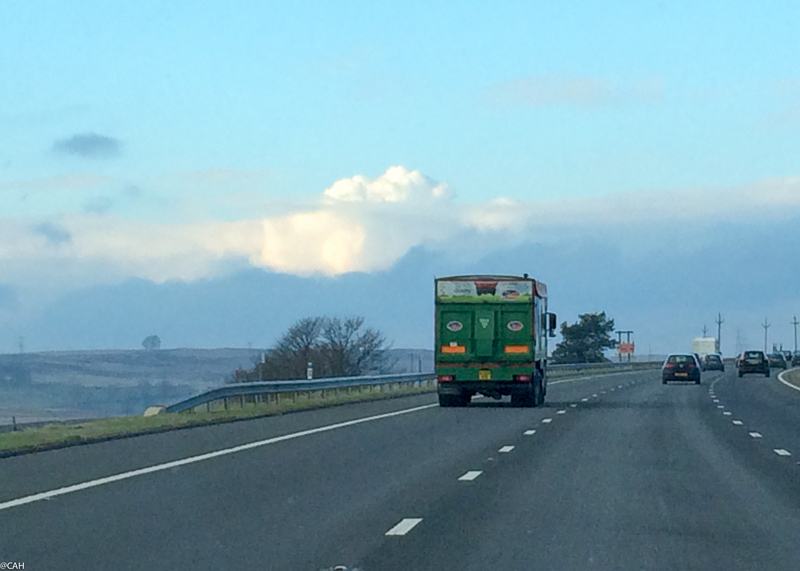 As we were driving to Edinburgh in the afternoon I had to fit in my walking in the morning. Fridays are the day I do some voluntary work in a secondhand bookshop which raises money for charity. It is just over four miles away so ideal for my Lent pledge. 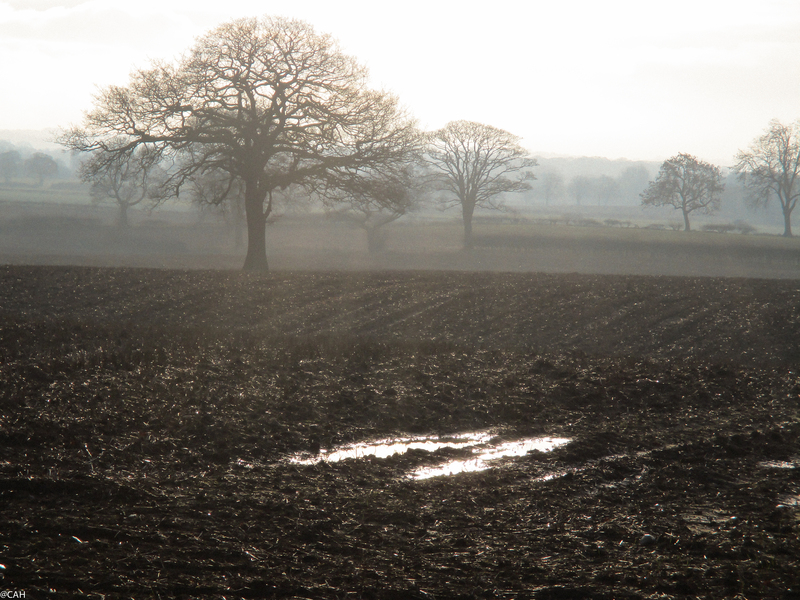 I set off around 8.30 on a misty morning. The first three miles are not the most pleasant as our local lanes become rat runs at rush hour and many drivers clearly do not expect to find a pedestrian (or cyclist or horse rider) as they speed around. 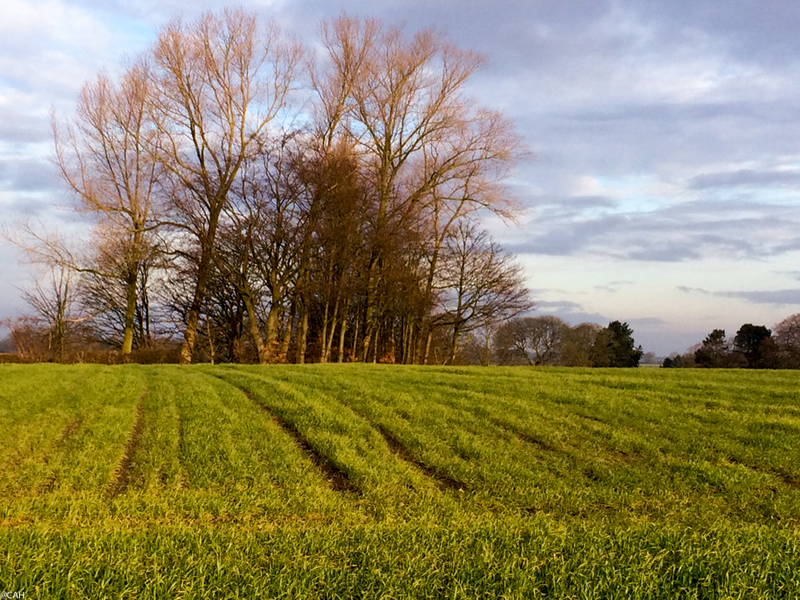 However, the sun did come out and light up some of the fields I passed. 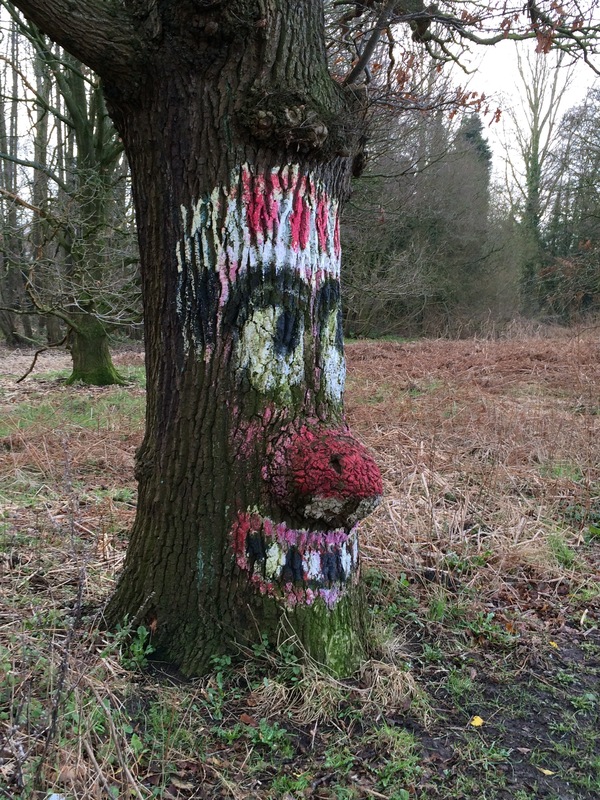 When I got to the edge of Alsager I passed the Smiling Tree which has been painted since at least the 1970s and now has its own Facebook page and appears on other social media. Quite a celebrity. I did my work at the bookshop and as always, had some interesting and challenging conversations with the other volunteers. James picked me up shortly after 1pm and we drove up the motorways, the weather improving as we headed north with clearer skies near Shap. We made good progress and hit the city boundary as the rush-hour traffic was heading out. Rain clouds were hanging low over the Pentlands promising a wet start tomorrow. Loved this post. I was there with you in spirit along with the six others…there are probably more by now. That’s hilarious that the Smiling Tree has its own Facebook page. What next? Blogging perhaps! Prime Minister? I’m intensely curious to know about the “challenging” aspect of the convos with the other volunteers. I know you can’t divulge details/identities, but I’m still intrigued all the same.